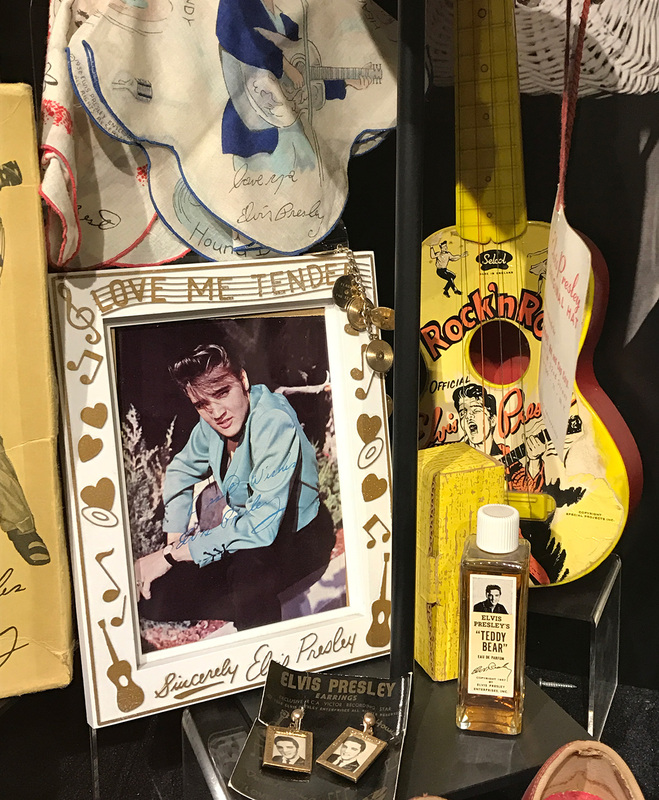 A visit to Elvis Presley’s Graceland provides a remarkable sense of immersion into the inner life of the King of Rock and Roll. 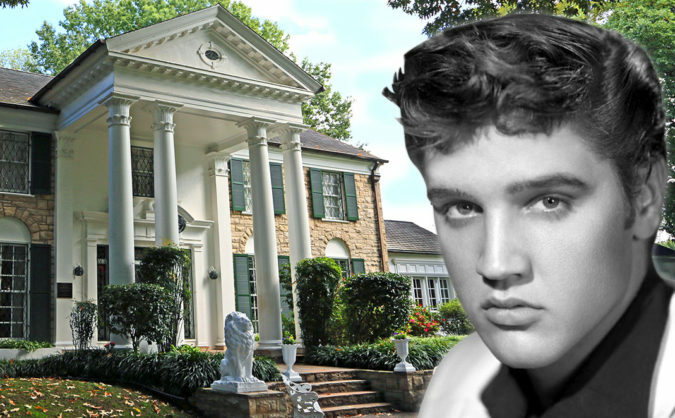 Elvis bought the Graceland mansion and 13.8 acres of surrounding farmland for $102,500 – an astounding price considering that the site is now an enormous Elvis Presley tourism destination that hosts 600,000 visitors annually. 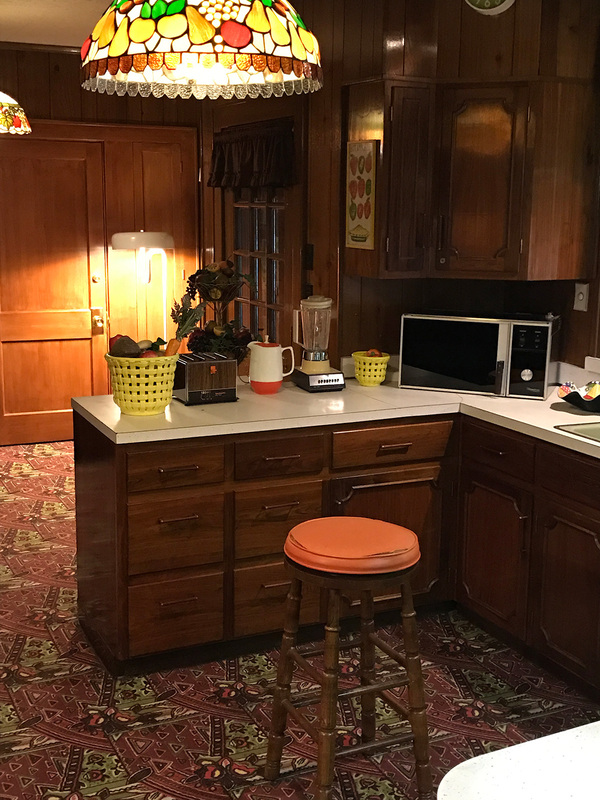 A visit to Elvis’ home elicits a sense of intimacy despite Graceland’s culture of corporate tourism; it’s the first hint of Graceland’s great complexity. 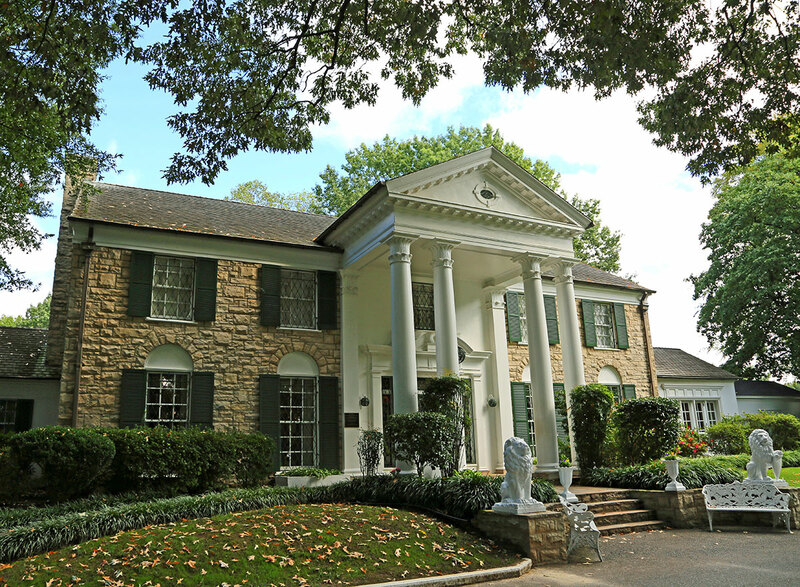 Elvis purchased the Graceland property in Memphis in 1957. He was only 22. The year before, he had experienced a year of breakout success unlike none before it. The superstar remained a devoted family man; he moved his parents and grandmother into Graceland before he moved in himself. 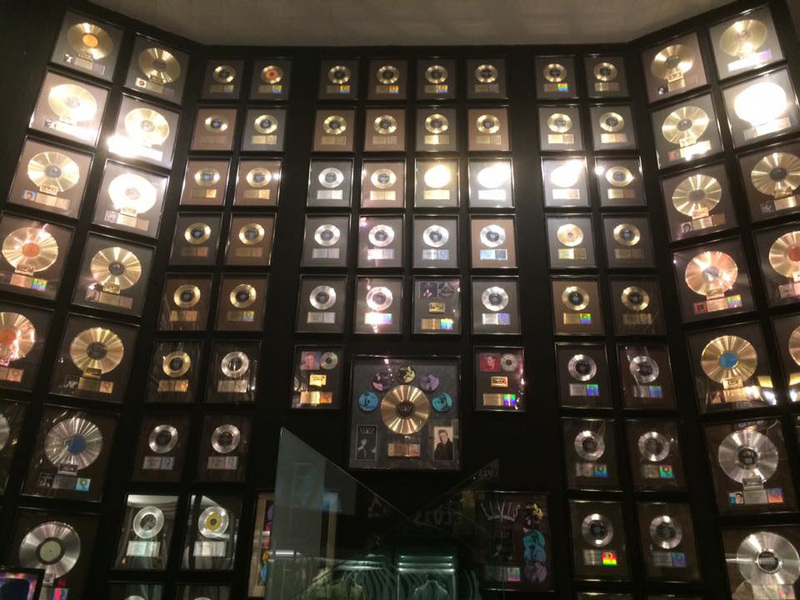 The following photos and tour notes were taken during a recent visit to Graceland. Photos by Dan Redding unless otherwise noted. The Graceland property is named after the original landowner, Grace Toof. In a stroke of fortuitous symbolism, the name ‘Graceland’ is a perfect fit for the Elvis Presley legacy despite the fact that it was named prior to his ownership. 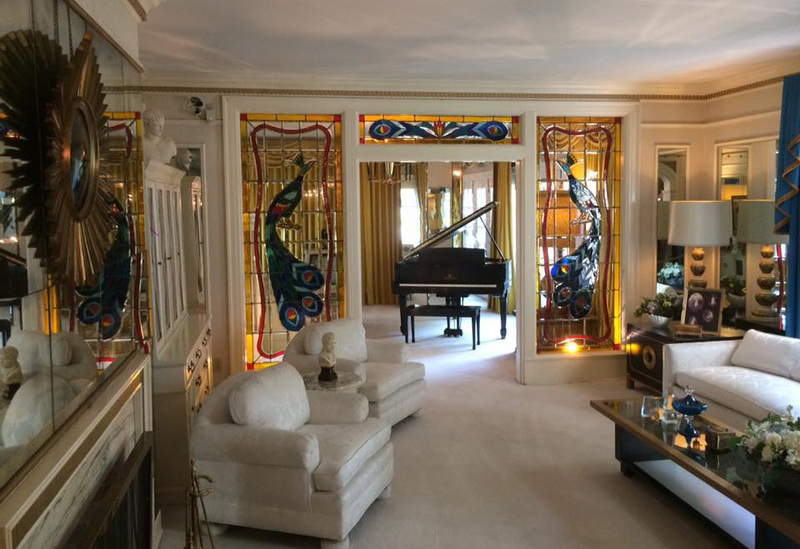 As soon as you enter the front door of Graceland, the living room is immediately on your right. Elvis performed gospel and R&B songs on the piano here and hosted large gatherings on the 15-foot-long couch. 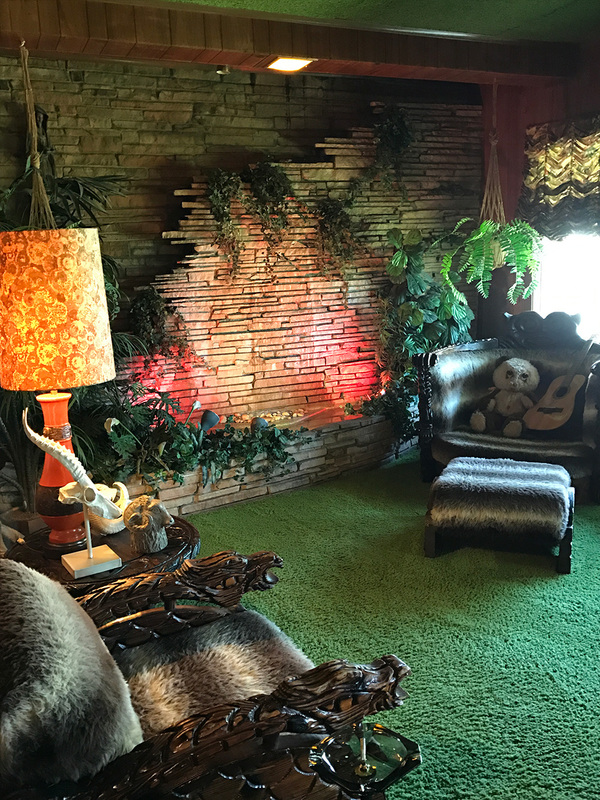 The ‘Jungle Room’ just might be the crown jewel of the first floor of Elvis Presley’s Graceland home. 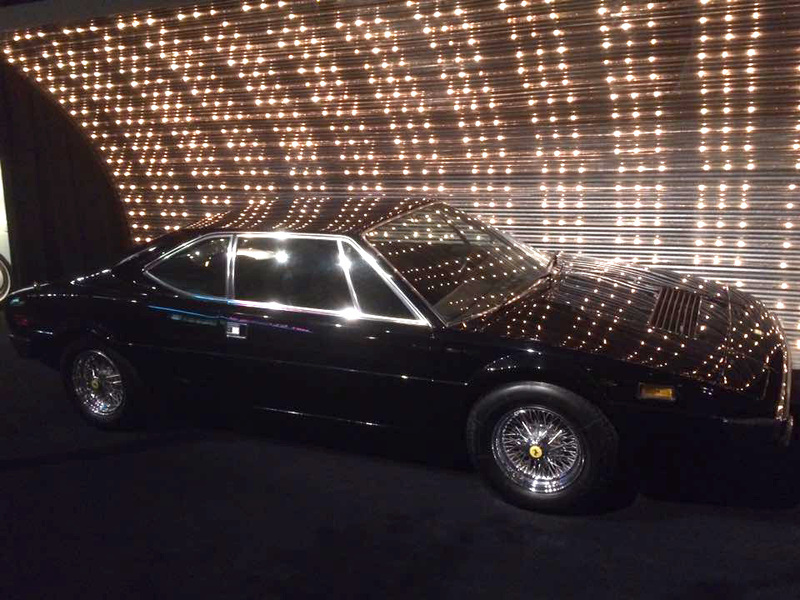 Its green shag carpet, exotic carved wood, and illuminated waterfall feature all contribute to an eccentric 70s vision with Polynesian flair. 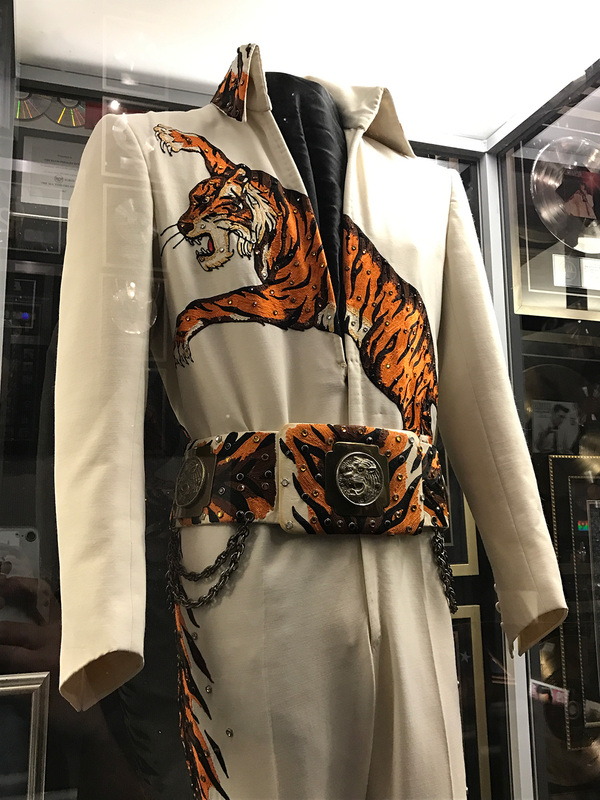 The Jungle Room reveals the side of Elvis that was a playful kid with an over-the-top imagination. The t.v. 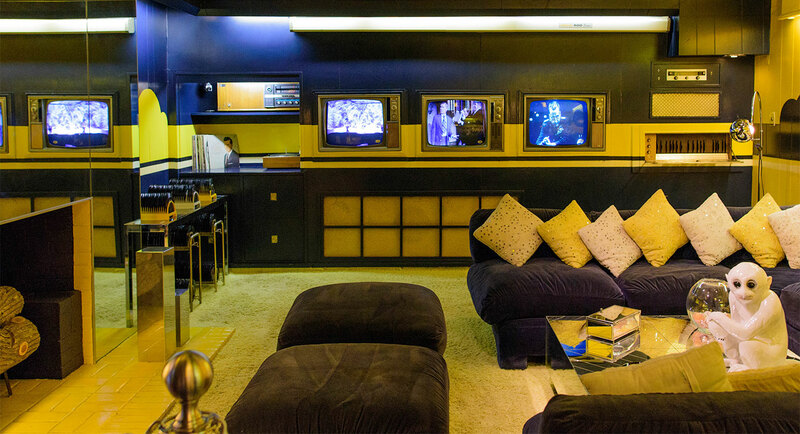 room at Graceland features three televisions mounted on the wall. Elvis had heard that President Johnson liked to watch the news on three different channels simultaneously and wanted to try watching three channels himself. A movie screen hangs above the televisions. This room, along with the billiards room next door, make for the ultimate man cave. 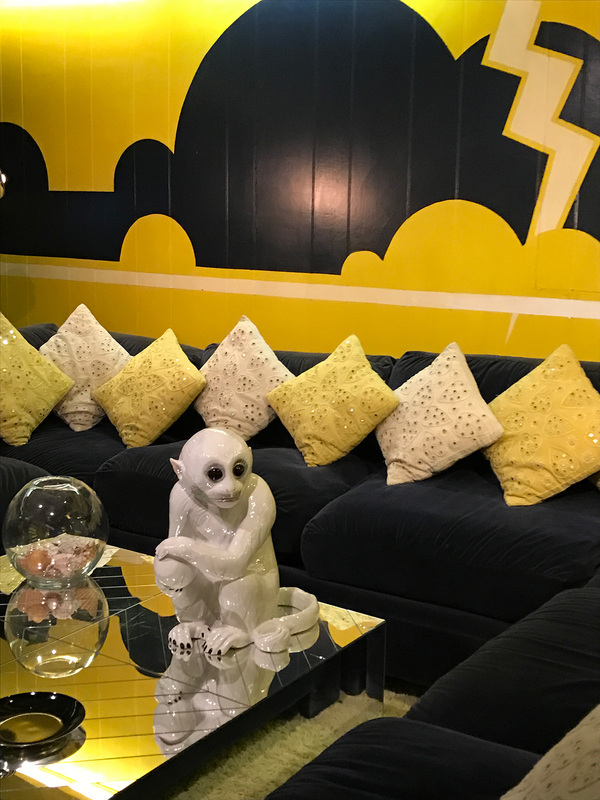 This ceramic monkey in Elvis Presley’s television room brings to mind another eccentric megastar: noted chimp fan Michael Jackson (who later married Lisa Marie Presley). 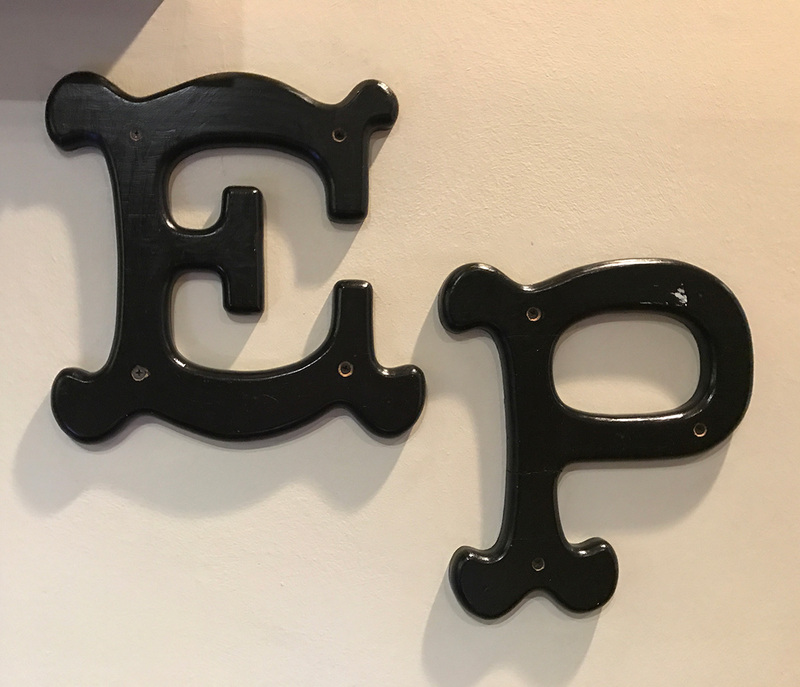 On the wall is a lightning bolt design that is a reference to Elvis’ ‘taking care of business with a flash’ TCB emblem. 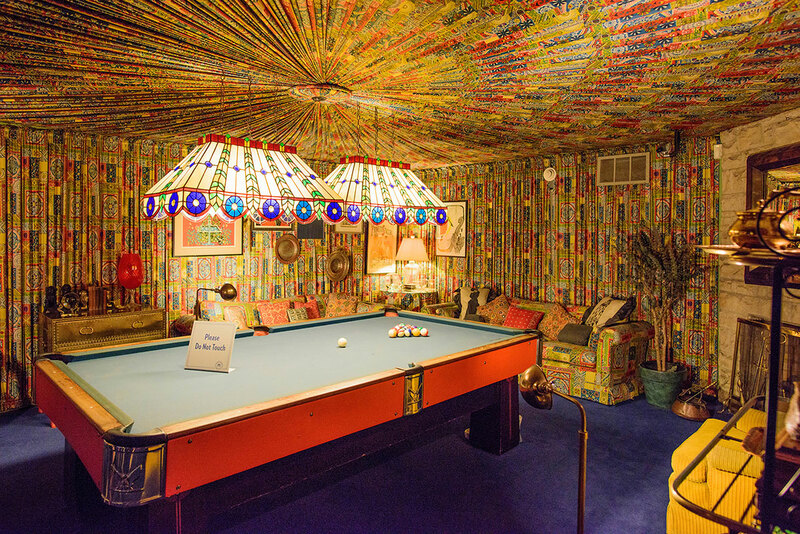 The stunningly ornate pool room at Graceland features walls and ceiling that are entirely upholstered with fabric. Three men spent 10 days cutting, pleating and hanging the roughly 350 yards of fabric. 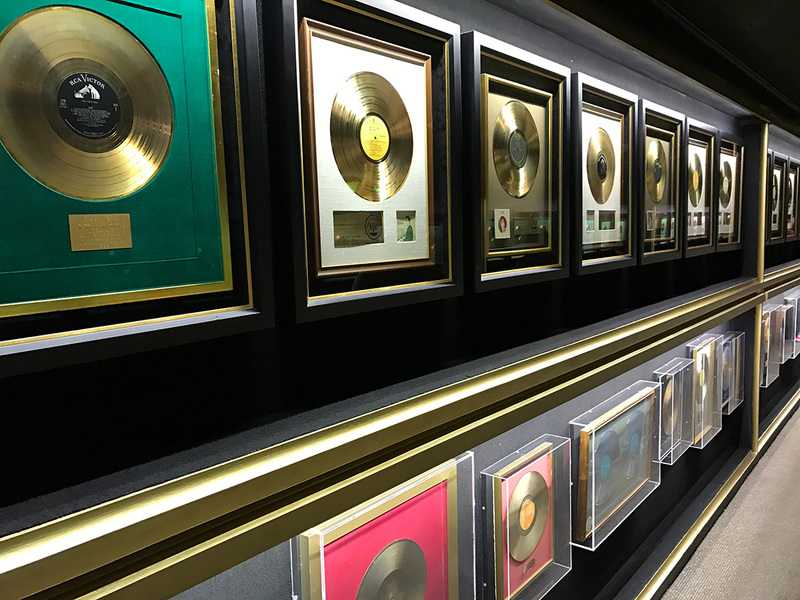 The Hall of Gold at Graceland features an astounding collection of Elvis Presley’s countless gold records, sales awards, memorabilia, costumes, and more. 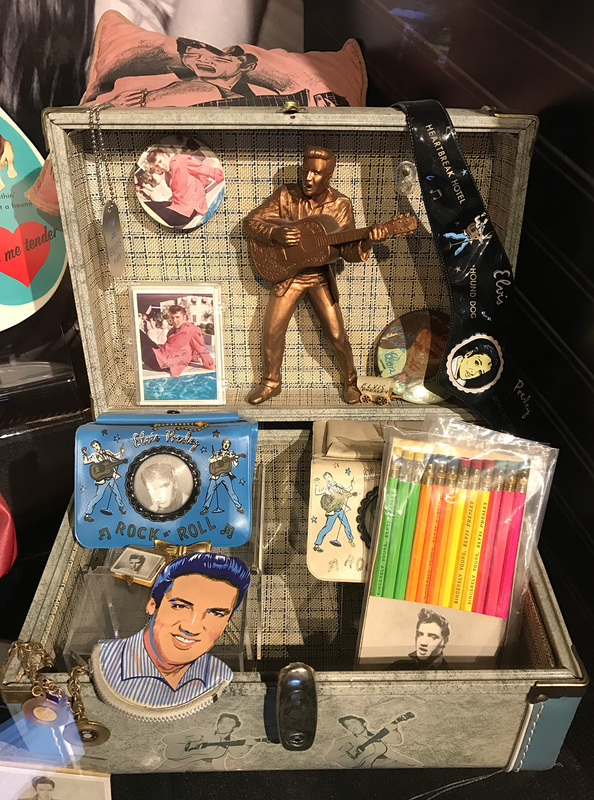 The Elvis Presley memorabilia collection at Graceland is a reminder that Elvis was a bonafide merchandising bonanza. 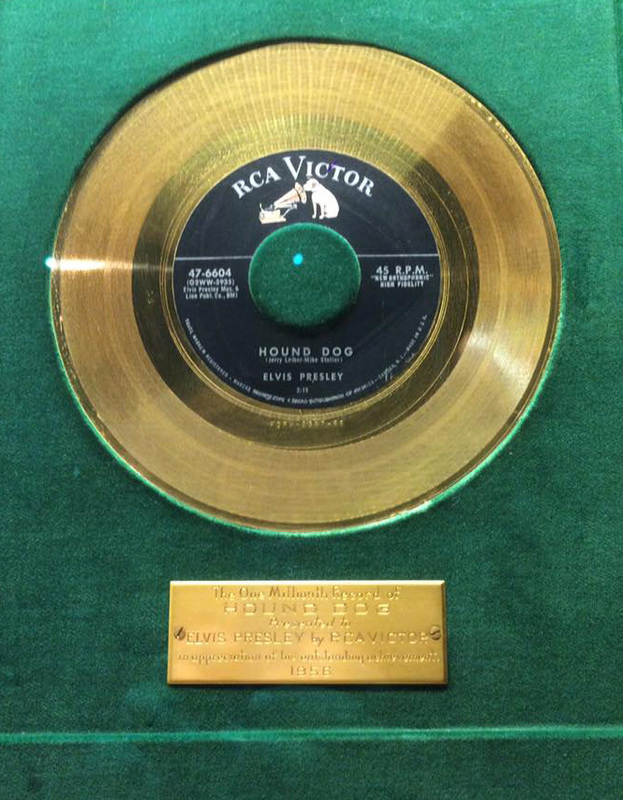 Above: the one millionth pressing of Elvis Presley’s hit ‘Hound Dog,’ pressed as a solid gold 45rpm record. 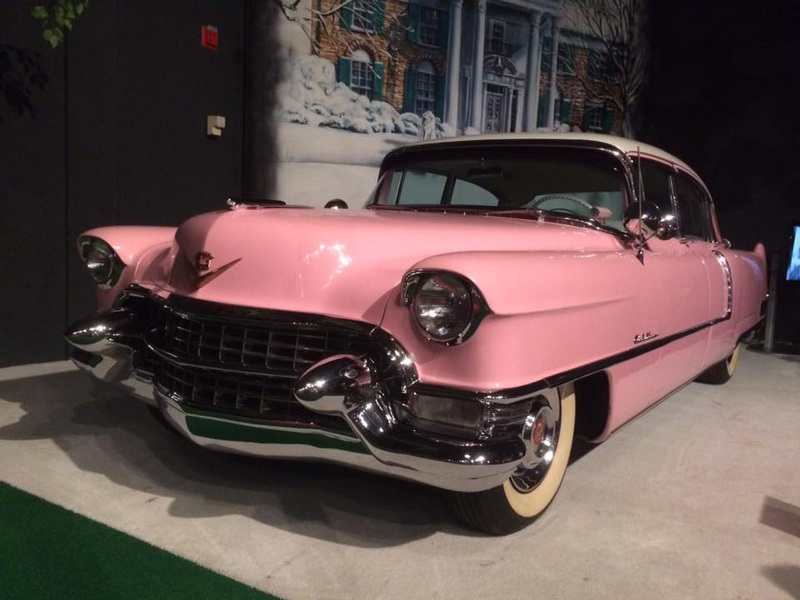 Although Elvis is the best-known singer of this song, it was first recorded by Willie Mae ‘Big Mama’ Thornton. The original song spawned various covers and ‘response’ songs. One notable response song was ‘Bear Cat’ (“you ain’t nothin’ but a bear cat”), one of the first recordings at Sam Phillips’ Sun Studio. Today, many similar examples of ‘response songs’ and ‘dis tracks’ are found in hip-hop culture. 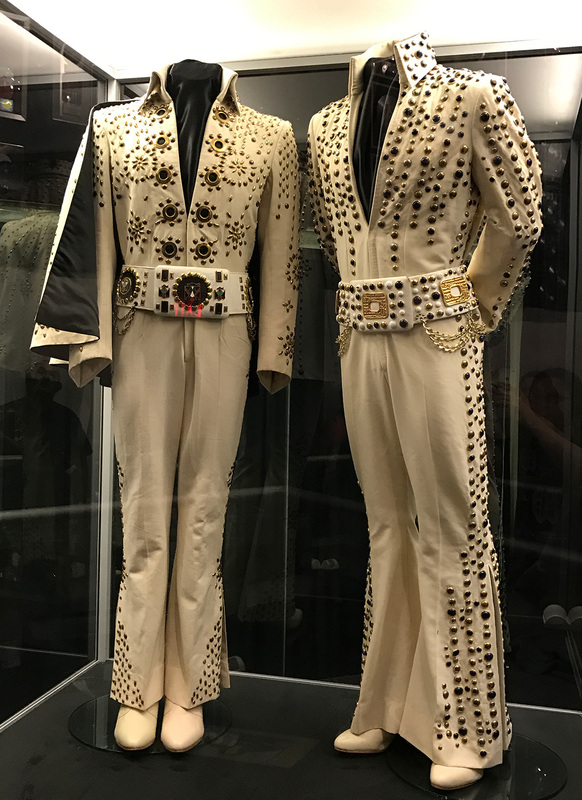 This enormous, high-ceilinged room, formerly a racquetball court, holds an array of Elvis Presley’s posthumous awards and stage costumes. The Graceland mansion tour concludes with the Meditation Garden. 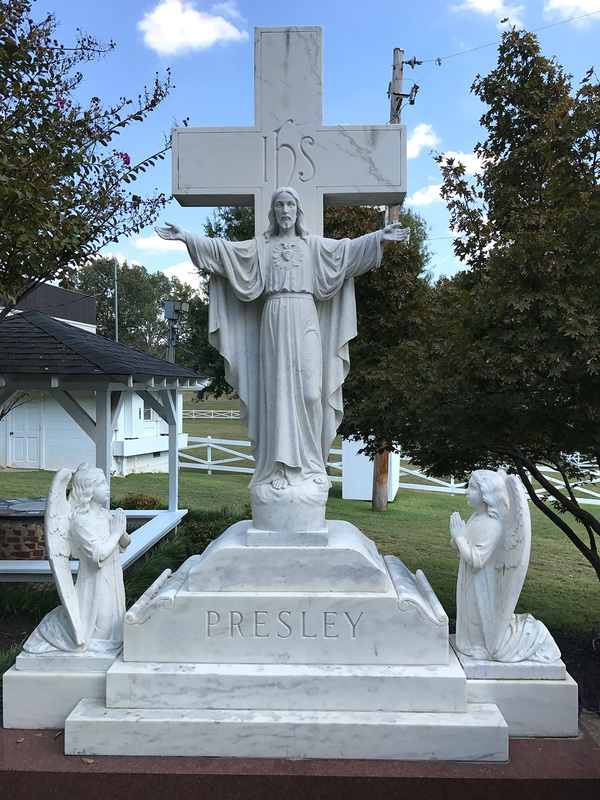 This area is home to the grave sites of Elvis Presley, his mother Gladys, his father Vernon, and his grandmother, Minnie Mae. Elvis Presley was a twin; his brother Jessie Garon Presley was delivered stillborn. 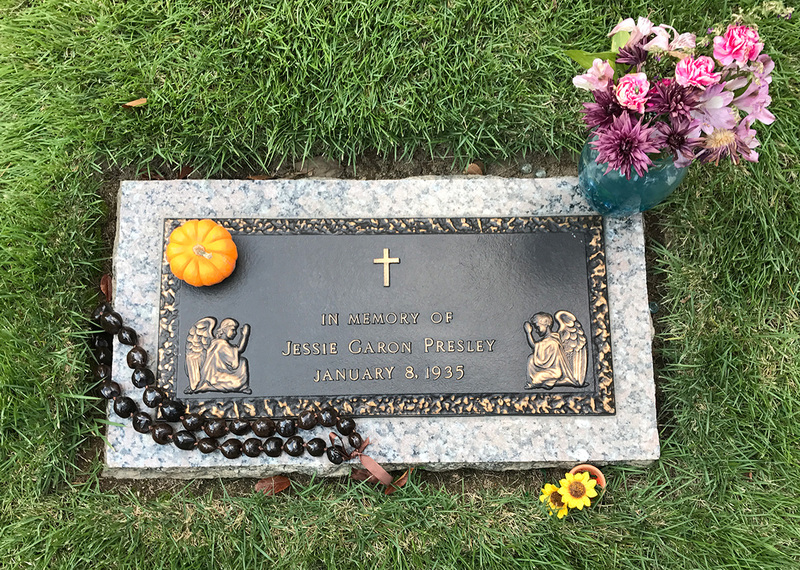 The Meditation Garden includes a cenotaph, or marker, for Jessie Garon, whose body is buried in the Presleys’ hometown of Tupelo, Mississippi. 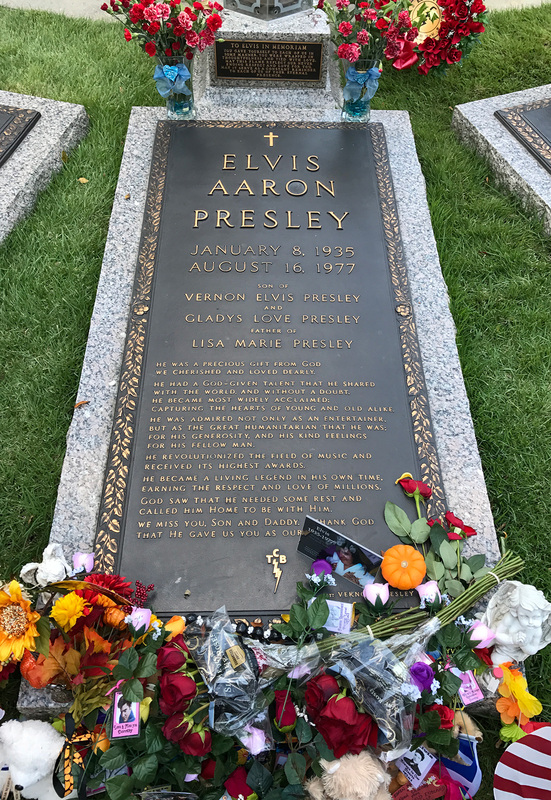 It’s a genuinely moving experience to arrive at the gravesite after immersing yourself in Elvis’ life for an hour or two. According to Peter Guralnick’s Elvis Presley biography Last Train to Memphis, the twins’ mother, Gladys, believed that “when one twin died, the one that lived got all the strength of both.” This story is one of many that lend a mythic stature to Elvis Presley’s remarkable life story. 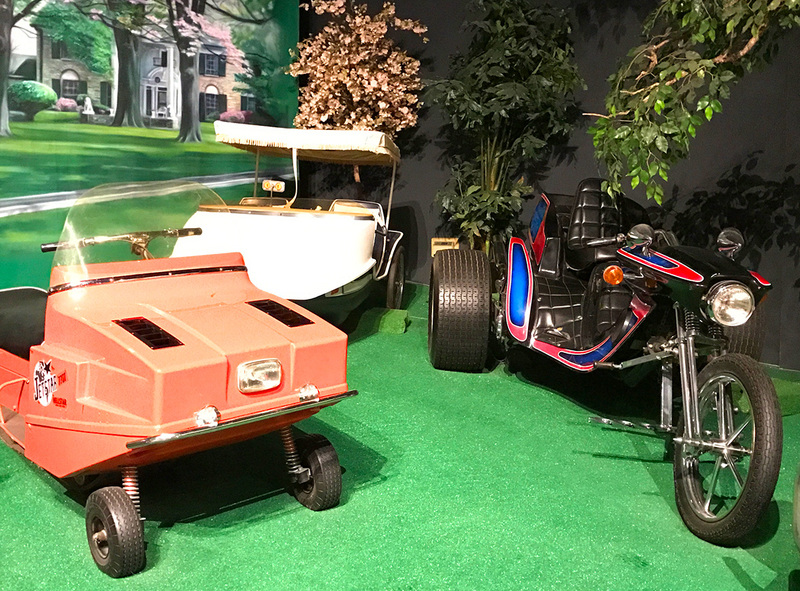 Graceland’s auto museum includes an assortment of cars, motorcycles, and other vehicles. 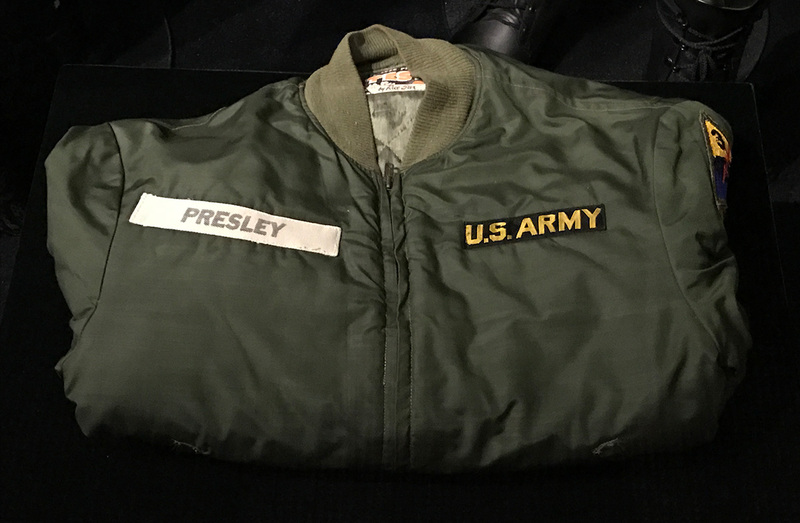 On one tour placard, Lisa Marie Presley recalled that her father was always up to something, whether he was tooling around the property on a motorbike, shooting off fireworks, or playing touch football with friends in the backyard. Graceland is a big home full of big ideas from a life lived large – and it’ll make you reconsider the boundaries of what a life can be. At the same time, Graceland allows you to peel back the layers of a mythic life to reveal a patriotic family man with a childlike imagination and a voracious appetite for living (and for overcooked bacon). The experience of a visit to Elvis’ Graceland is one of great depth and complexity. At the end of your visit, the experience of ruminating by the King’s grave will make you feel like you’ve communed with a man who brought the world immense joy, charisma, and yes, grace.